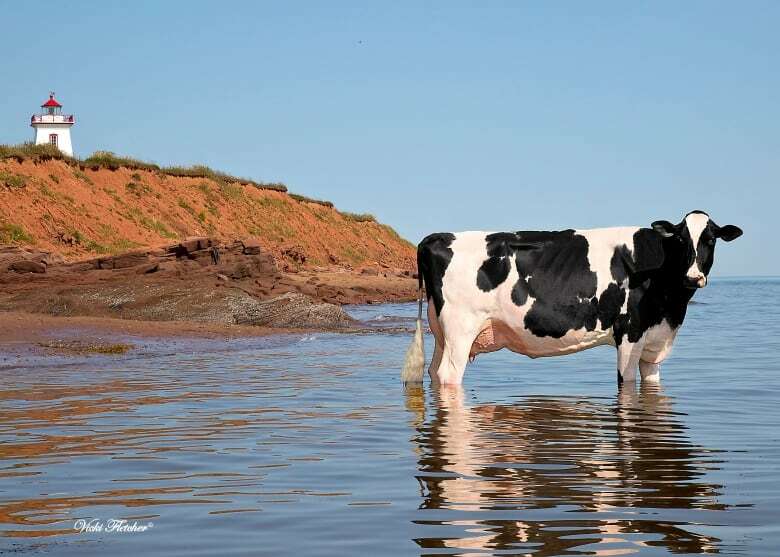 10 quirky things to know about cattle on P.E.I. Here are some wacky things to know about cattle from some of the people who know them best, P.E.I. beef farmer Kurt Duncan and dairy farmer Bloyce Thompson. When you think of cattle, what comes to mind? Is it their big eyes, their tendency to slowly chew grass while hanging out in pasture? Or is it the milk and beef they produce? Here are some wacky things to know about cattle from some of the people who know them best — P.E.I. beef farmer Kurt Duncan of Cornwall and dairy farmer Bloyce Thompson from Frenchfort. "When you see them every day — you get to see their personality traits," said Duncan. 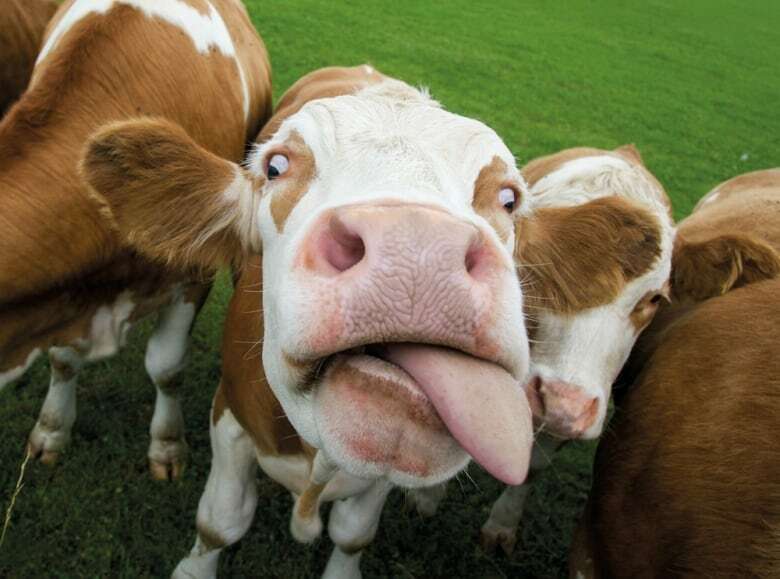 Cattle have personalities that range from moody to happy-go-lucky, he said. 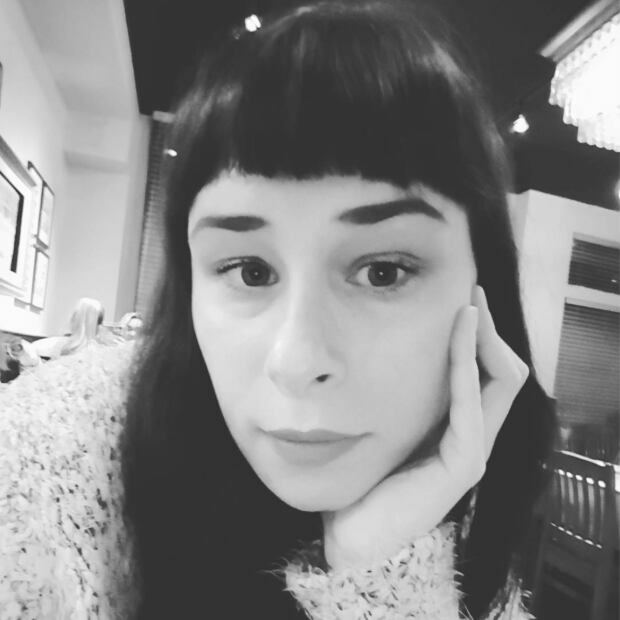 "The ones that are standoffish, they're the ones at the back of the pen. When you go into the pen with them, they avoid human contact, basically," Thompson said. "And then there's the nosey ones that are following you around and they're licking you and trying to play with you the whole time you're trying to work around them." 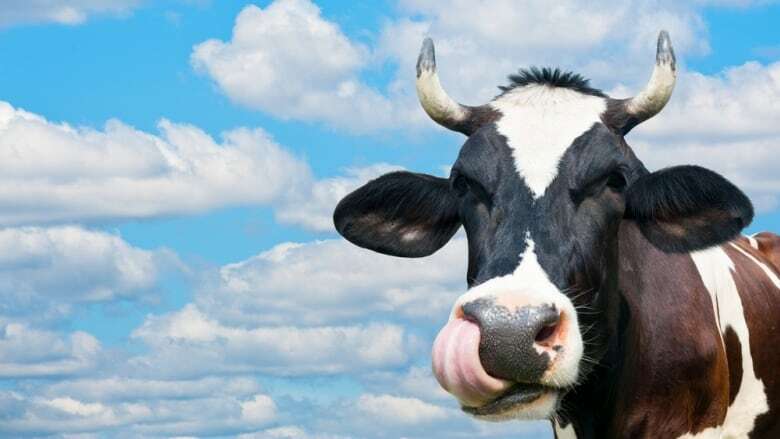 "Cows love food, that's what Mother Nature made them for — to eat food," Thompson said. "So they're always hungry, they're always looking for something good to eat. Their whole life revolves around food." They also have four stomachs, to help break down and digest the coarse food they eat. They then regurgitate it and chew on the food, or cud, multiple times per day, he said. "You have to be conscious of where they are at all times," Thompson said. "You never know when they're going to catch you off guard and give you a big lick off the side of your face." Their tongues are rough on the skin, he added. "Funny things happen almost every day. That's probably the most awkward thing that happens to us on a daily basis," Thompson said. 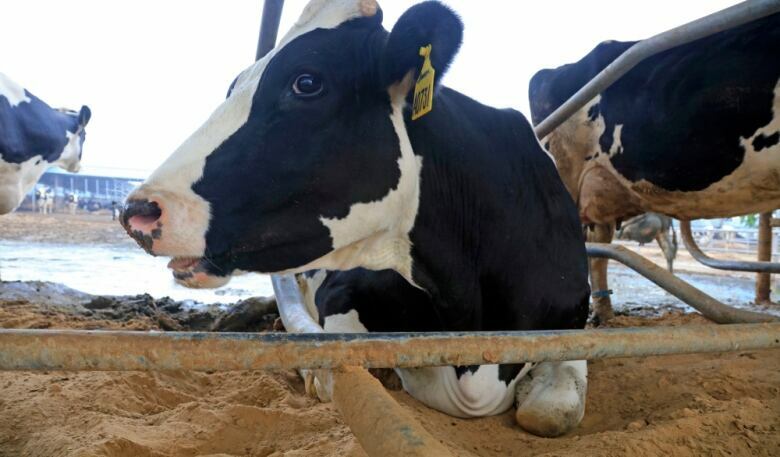 Sand is probably the most comfortable bedding for cattle, Thompson said. In the winter it can be a little cold for them but in summer it's very cooling. "It's good for their health too ... bacteria can't grow in sand very well," Thompson said. "They'll move the sand around in the stalls to be comfortable and dig a hole and kind of get comfy." "You certainly can see ones that are more relaxed, yeah some of them are more on edge," Duncan said. A recent study published in the journal Scientific Reports suggests cows exhibit signs of optimism and pessimism from a young age. The study also suggests that their inherent outlook on life can predict the coping mechanisms they develop for stress. A lot of the time, Duncan said, genetics play a big role. 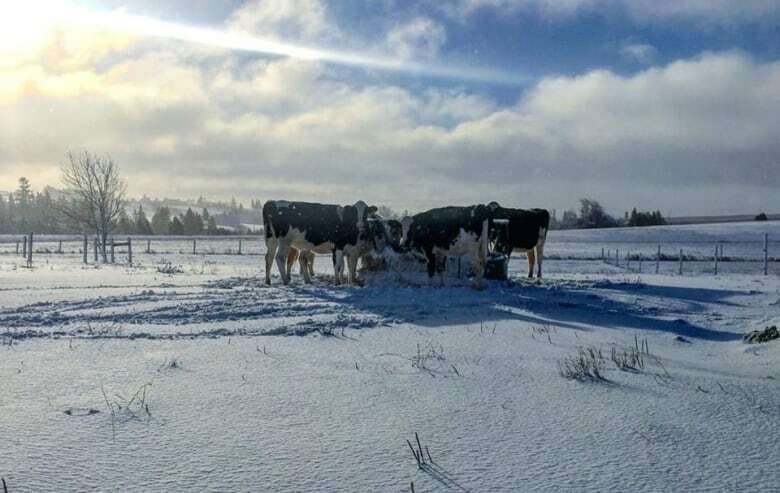 One of his cows in particular has eight daughters who are currently producing calves and he said all of them have a more quiet, docile disposition. There have also been studies which suggest you can determine how docile cattle will be based on where and how high hair grows out of their head, Duncan said. 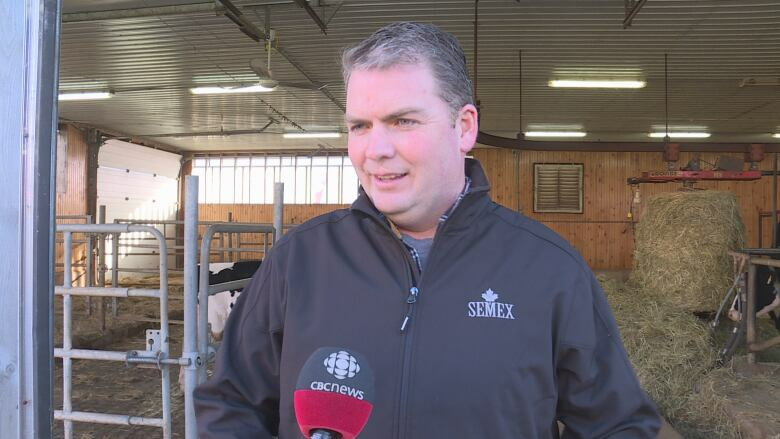 "We'll put salt blocks in their feed manger and you could see a cow licking a salt block for … it could be an hour, could be two hours — steady licking salt, that's how much they crave it," said Thompson. "They'll find a fence post or anything with an edge and they'll scratch themselves. You'll see them try to get those spots that their tongues can't reach — they're very creative that way," Thompson said. Some farms have large rotating brushes with bristles that spin to help cattle reach the more difficult spots. "You'll see a cow spend a lot of time under those just walking underneath it and scratching their backs. It's just like going to a spa day." "When you get into beef cows there are a number of different breeds," Duncan said. But generally on P.E.I. and across the Maritimes — there are a few main breeds of beef cattle. Herefords, distinguishable by their red body and white face. Simmental, which come in a variety of colours. Charolais, usually white or a creamy colour. Limousin, born in a variety of colours. Holsteins are the most popular breed among dairy farmers, Thompson said, likely because of the volume of milk they produce. Holsteins, typically black and white but occasionally red and white. Jersey, typically smaller and tan-colour. Ayrshires, which are red and white. Guernsey, which are a yellowish-tan colour. Brown Swiss, which are a greyish-brown. Thompson isn't sure if his cattle know their names but they do come when he calls them, he said. 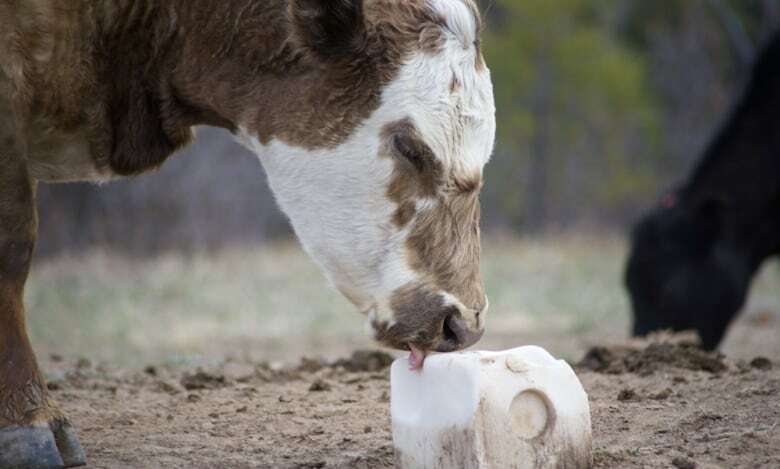 "I don't know why but when our cows are in pasture in the summertime … we yell, 'Cup, cup!' and the cows — they respond to that. So you don't have to chase them, they'll come," he said. It's a phrase Thompson's family has been using to call the cows home for generations. "I've seen on Facebook and stuff people can train a cow to ride it," Thompson said. 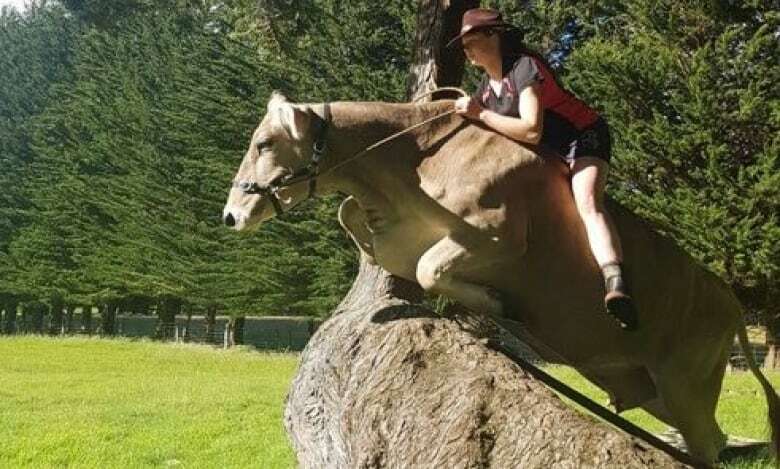 "There are some cows that are very quiet and you can train them but I don't think it would be very comfortable for the rider. A horse's back is much more rider-friendly than a cow's back."